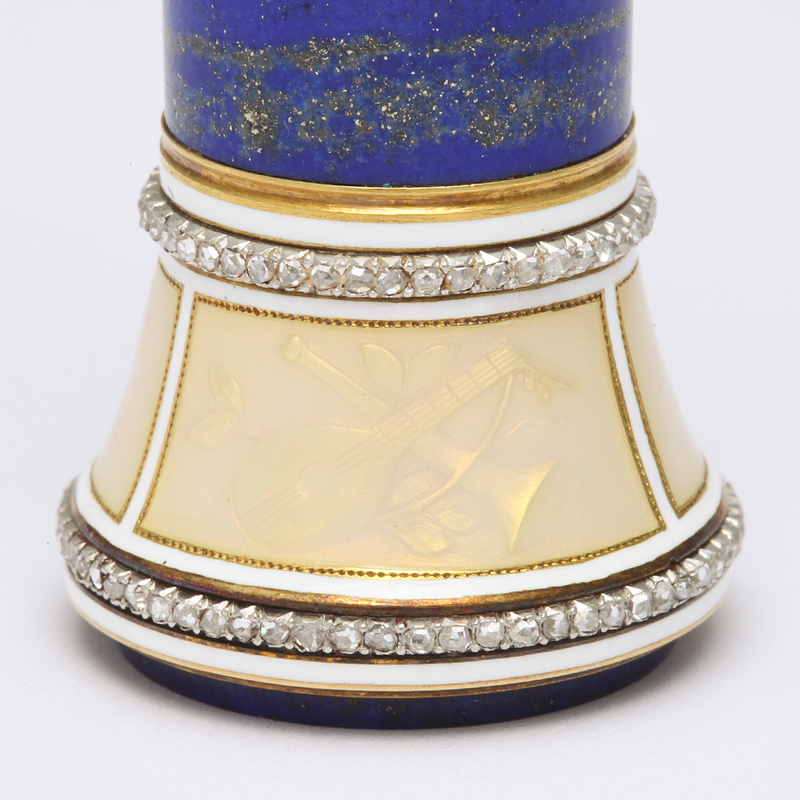 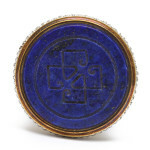 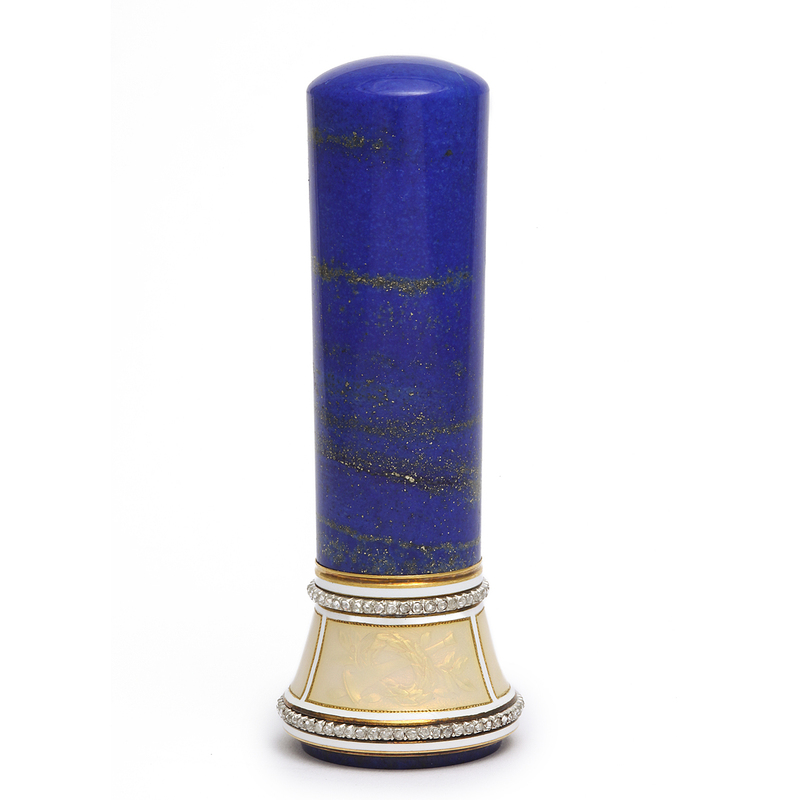 Lapis lazuli desk seal set with diamonds, the translucent enamel featuring musical devices, and with lapis lazuli sealstone. 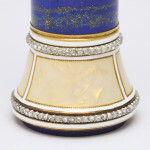 Exhibited: The Corcoran Gallery of Art, Washington, DC, 1961; The Metropolitan Museum of Art, New York, 1965. 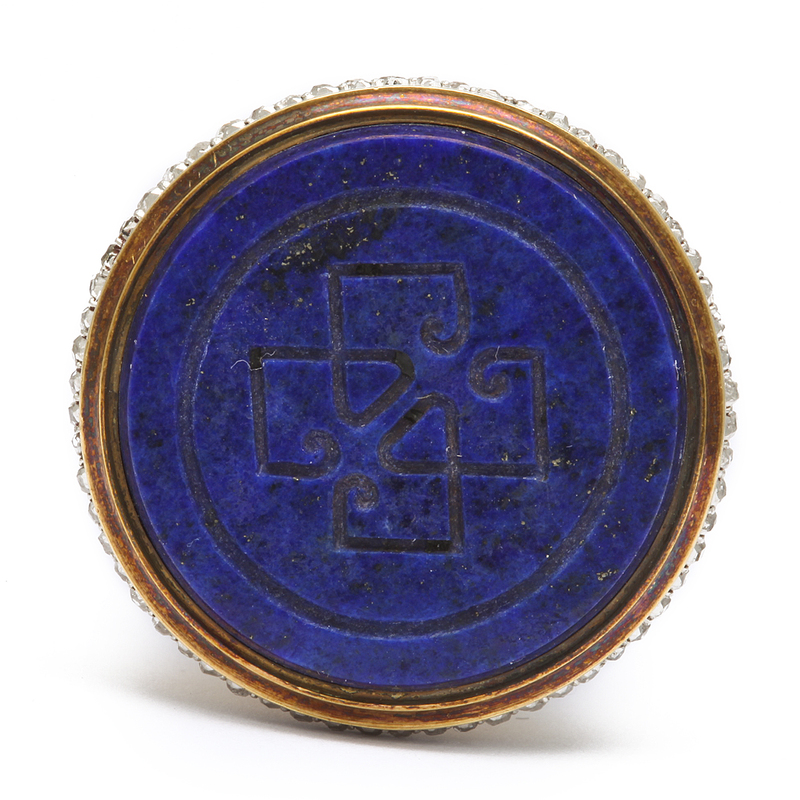 A similar seal was acquired by King George V, and now in the Royal Collection.